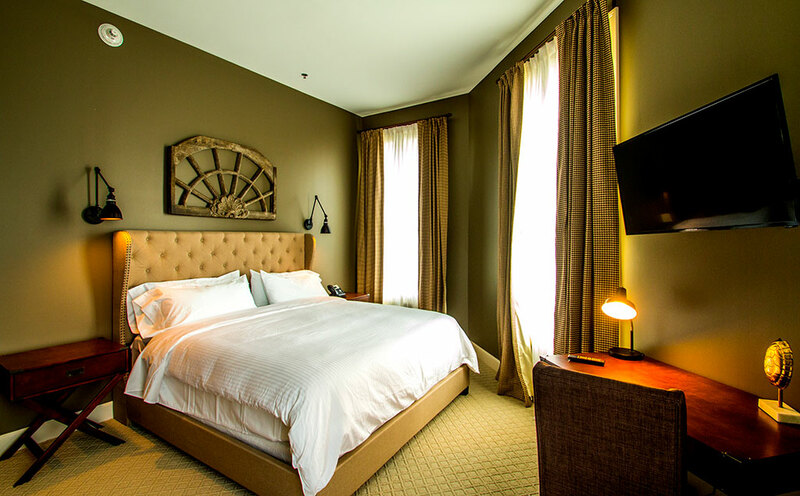 The Meadows Hotel features 14 rooms, 3 of those being luxurious suites. We can promise you each room offers a unique experience. You can literally stay with us at the Meadows Hotel 14 times, and get a different experience each time. Experience the charm of individually decorated rooms and take a risk away from the standard hotel chains. The Meadows is a destination. The Meadows is unique. The Meadows is southern charm at its best. Room 1 is a ground floor room in a soft and relaxing pale blue. This double queen room is complete with a large two vanity sink, glass enclosed shower, individual climate control, 40″ flat panel TV and high speed wifi. Room 2 is a ground floor room in a rich royal red. 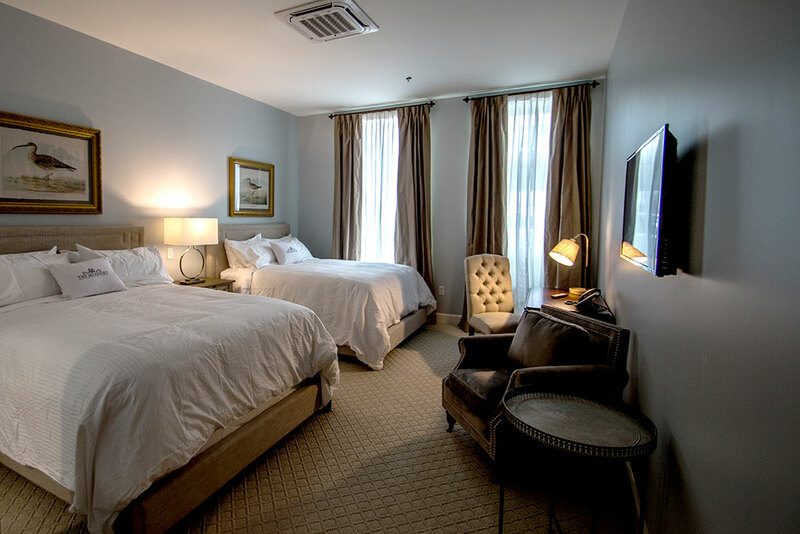 This double queen room is complete with a granite vanity, wheel chair accessible shower, individual climate control, 40″ flat panel TV and high speed wifi. This room is fully ADA compliant for all hearing, seeing and physically challenged patrons. Room 3 is a ground floor room in celery green. This single king room is complete with granite vanity , glass enclosed shower, individual climate control, 40″ flat panel TV and high speed wifi. Room 4 is a ground floor room with a striking canopy bed. This single king room is complete with a granite vanity top, glass enclosed shower, individual climate control, 40″ flat panel TV and high speed wifi. 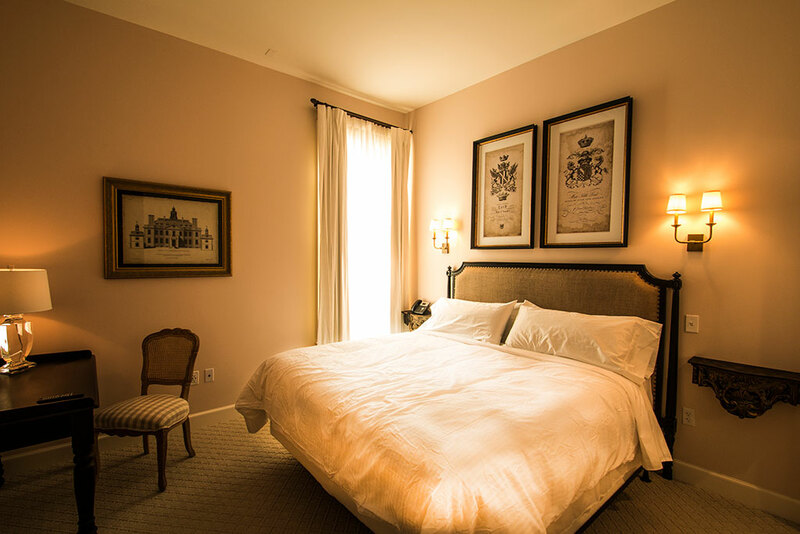 Room 5 is a double queen suite with over 400 sq ft, with a sitting area and very large bath. The décor is in shades of blue with floral accents. Nice view overlooking our downtown park. 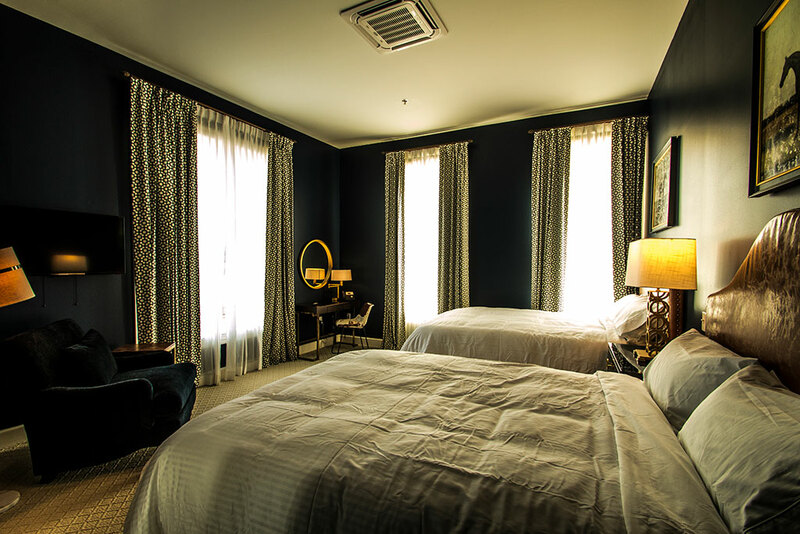 The room features individual climate control, free high speed wifi, and 40” flat panel TV. 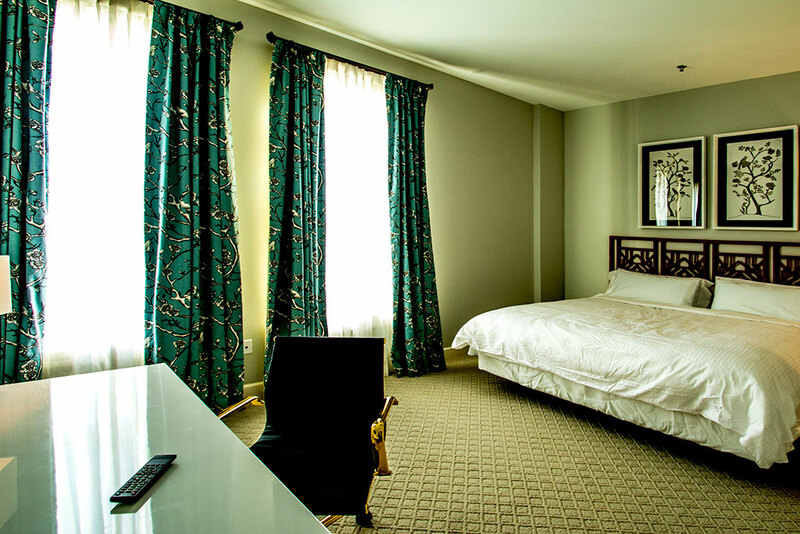 Room 6 is a suite with over 400 sq ft, with a sitting area and very large bath. This double queen room features large poster beds. Nice view overlooking our downtown park. 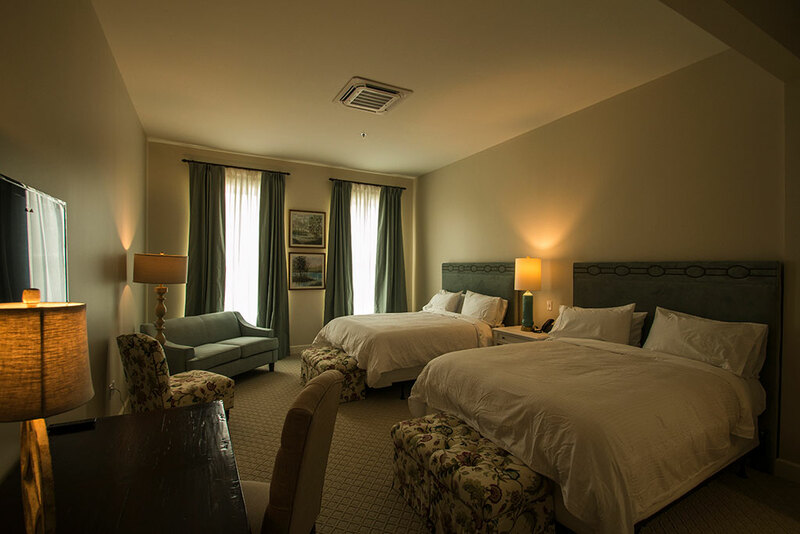 The room features individual climate control, free high speed wifi, and 40” flat panel TV. Room 7 is our white room. It is a suite with over 400 sq ft, with a sitting area and very large bath. This double queen room features large poster beds. Nice view overlooking our downtown park. 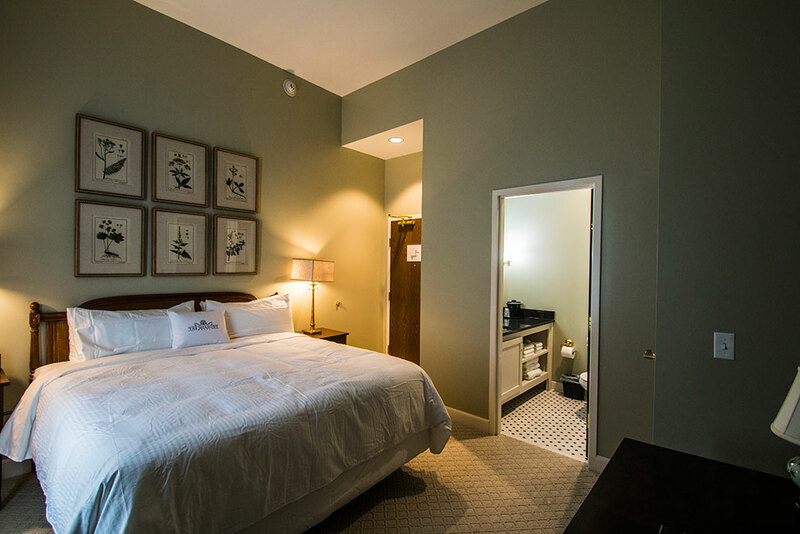 The room features individual climate control, free high speed wifi, and 40” flat panel TV. 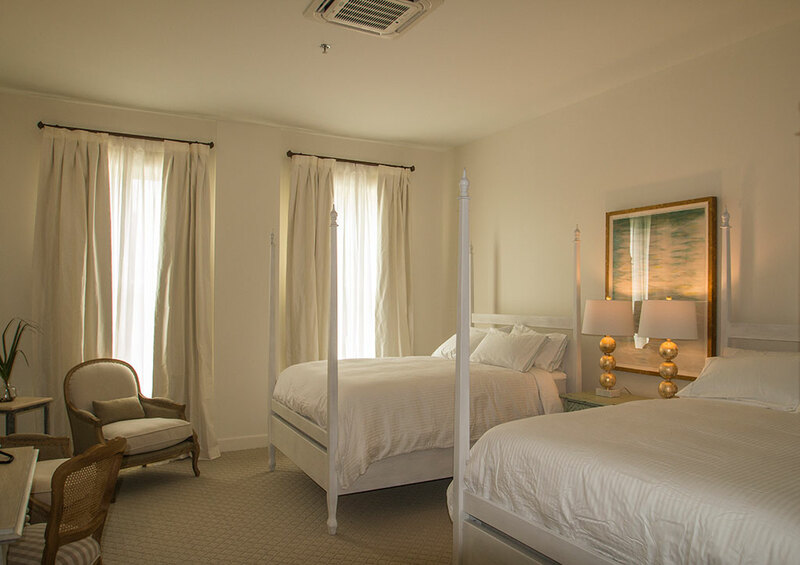 Room 8 is a double queen room of normal size featuring upholstered headboards. 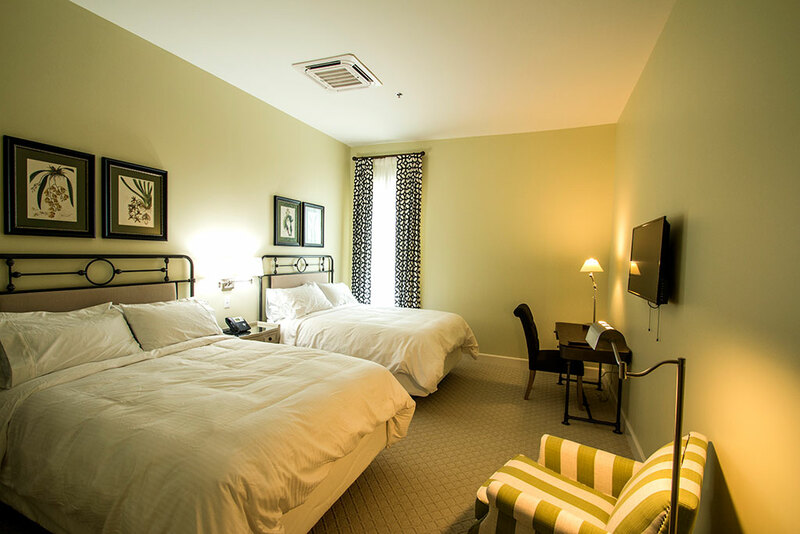 The room features individual climate control, free high speed wifi, and 40” flat panel TV. 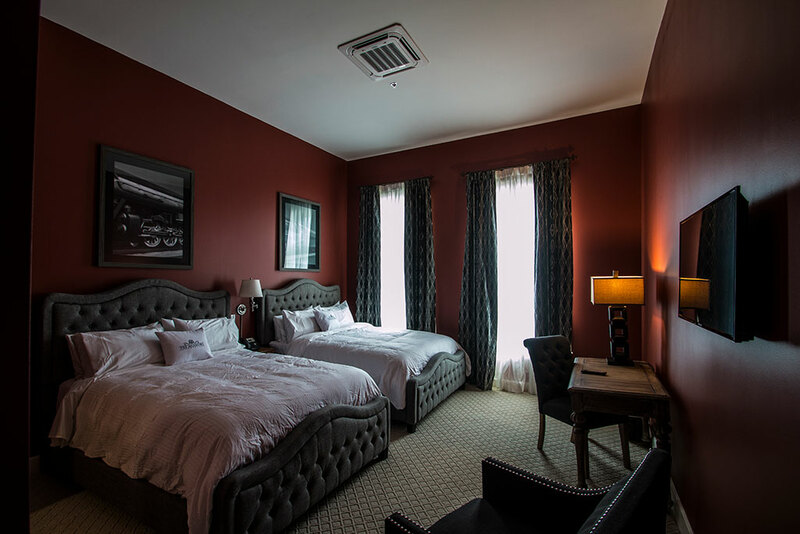 Room 9 is a double queen room of normal size with vintage iron headboards. The room has individual climate control, free high speed wifi, and 40” flat panel TV. Room 10 is also a double queen room with dark wooden headboards. 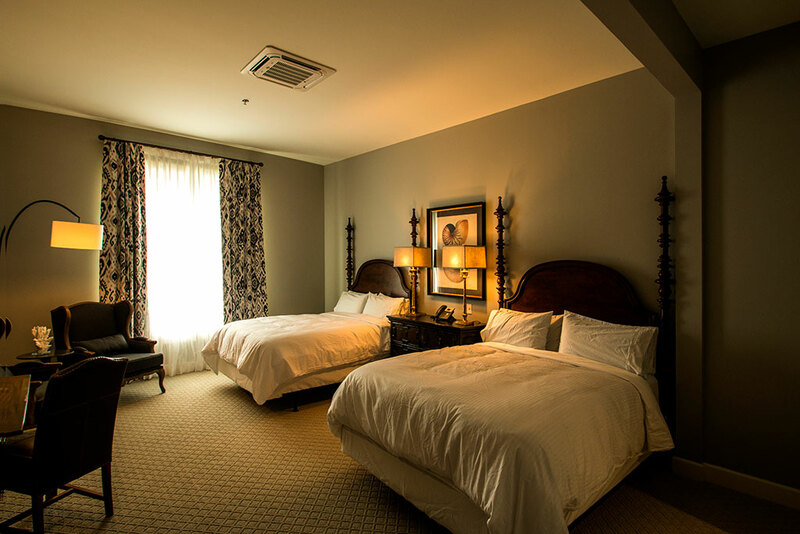 The room features individual climate control, free high speed wifi, and 40” flat panel TV. Room 11 is a single king room and has a unique shape with one wall being at a 45 degree angle. This sunny room with 3 sets of large windows overlooks both Unity Park and Pontotoc Park. The room features climate control, free high speed wifi, and 40” flat panel TV. Room 12, also a single king room is decorated with a distinct Asian theme. 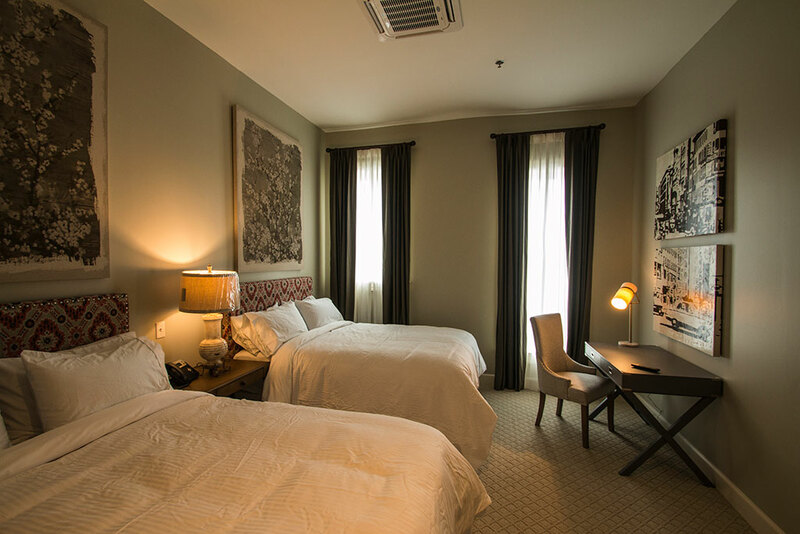 The room features individual climate control, free high speed wifi, and 40” flat panel TV. Room 13, a single king room has a royal, old European feel. The room has individual climate control, free high speed wifi, and 40” flat panel TV. 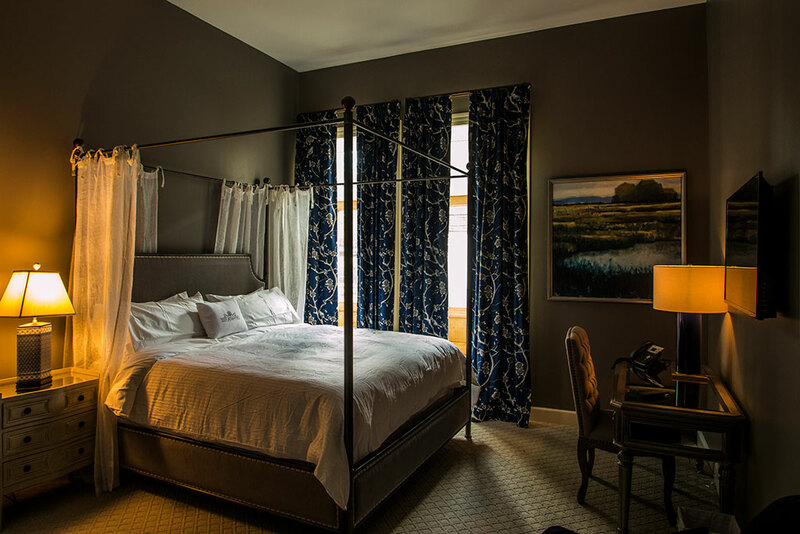 Room 14 makes a bold, masculine statement with navy blue walls, leather headboards and equestrian artwork. 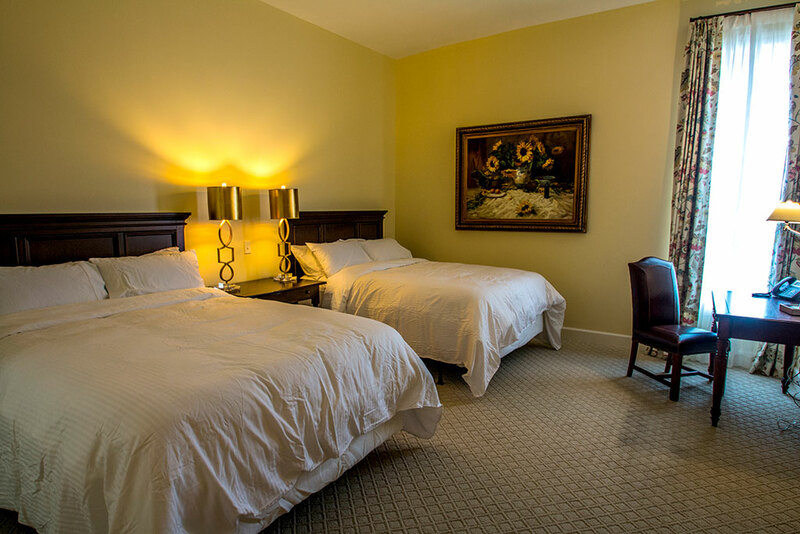 This double queen room has individual climate control, free high speed wifi, and 40” flat panel TV. 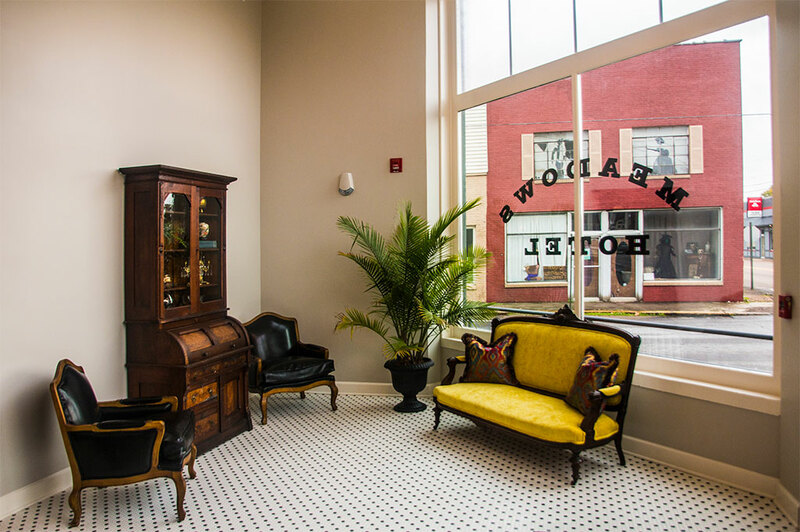 Our lobby is turn of the century complete with period furniture from 1901. The center chandelier contains over 400 crystals. The walnut and marble front desk was custom made for the Meadows. It contains a display case of the building history and a small retail area known as the Meadows Shoppe. 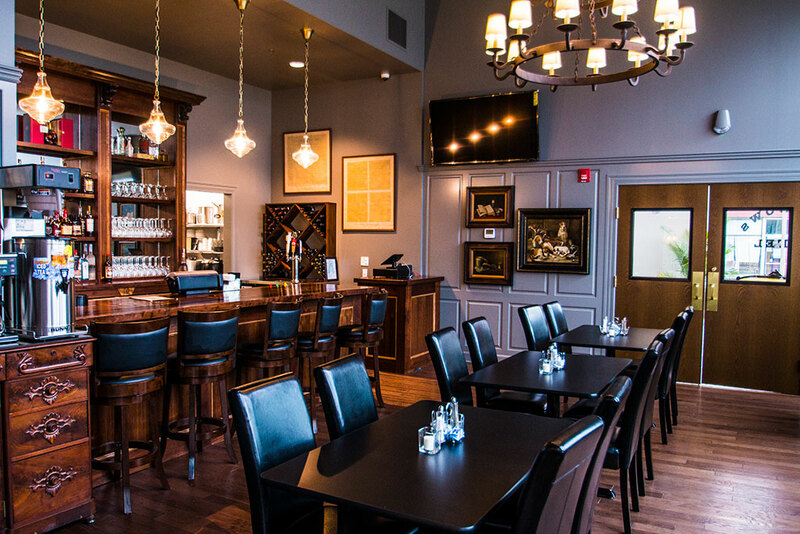 Bar101 is a dark and rich date night type upscale bar with a walnut bar custom made for the Meadows. 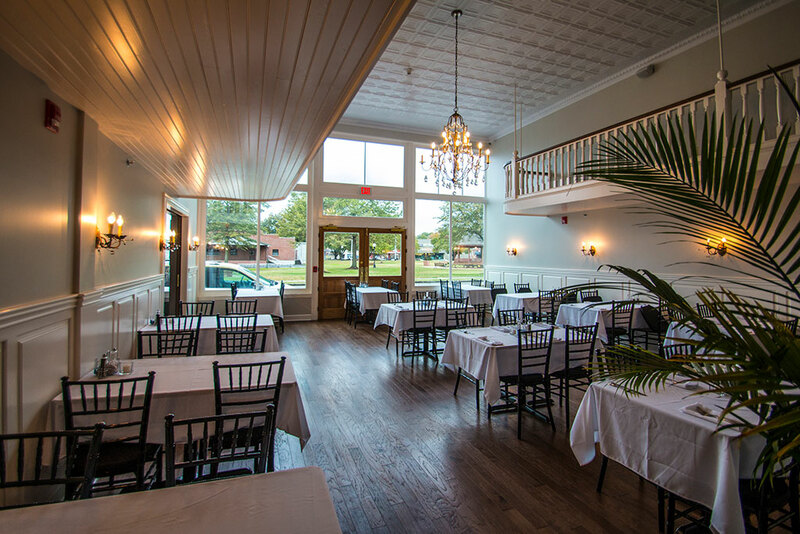 Our formal dining room can seat 52 and features massive storefront windows and a 16″ tin ceiling.